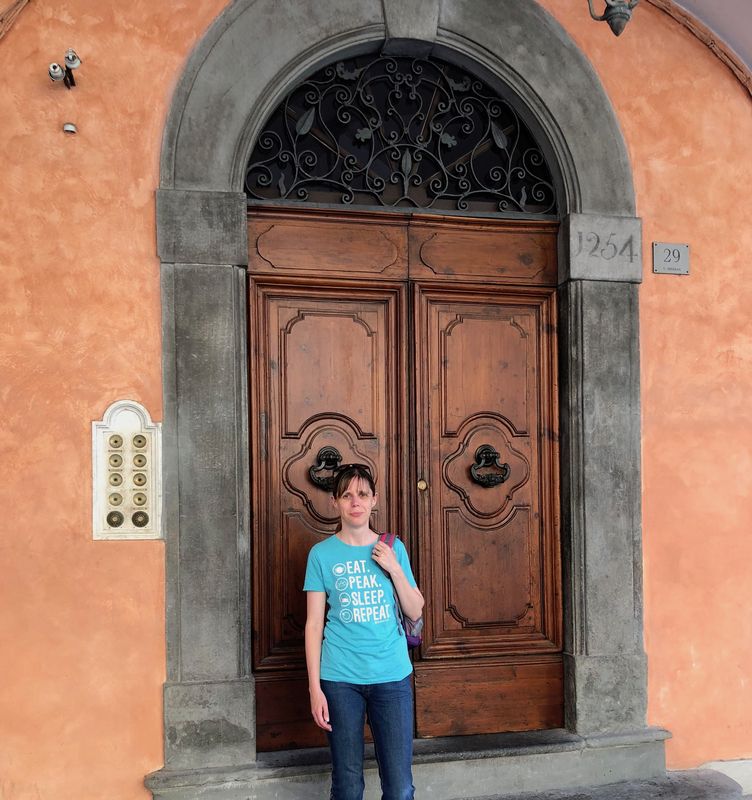 With a special birthday in the family, it was the perfect excuse to spend 48 hours in Florence. Leaving Grandma looking after the kids, we headed to Manchester airport to take an early Jet2 flight into Pisa. 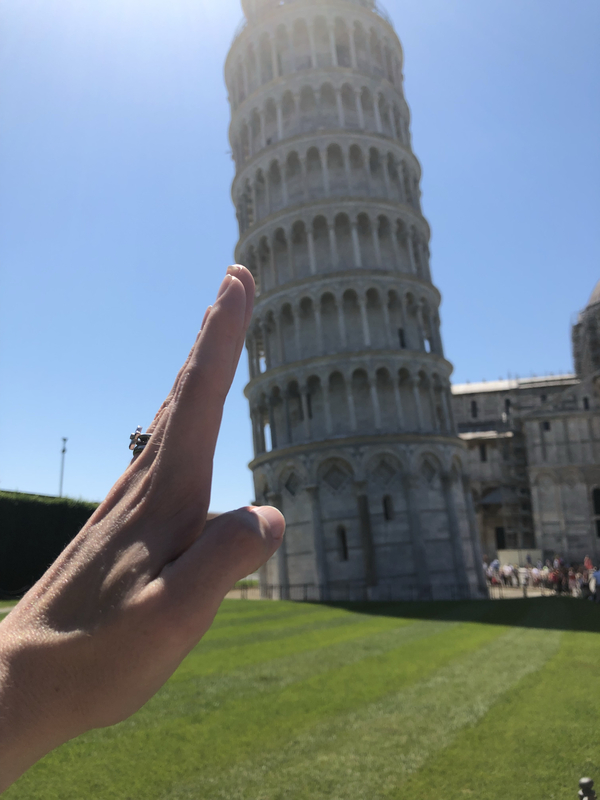 My Husband loves Italy and has visited Florence a few times, he was eager to go back for his birthday treat and show me the sights. It was a whistle-stop tour but here’s how we got on! We arrived in Pisa and from the airport took the Pisamover train that connects the airport to the main train station. Tickets were only €2,70 each for a single journey, and in no time at all we were whisked to the main train station. A quick look around Pisa was planned before taking the train to Florence and then on to our hotel. It was hot, hot, hot but I was already loving it – we later saw a temperature sign of 38°. We took the wrong exit out of the train station and walked around more of Pisa than intended, having packed light with a wheely suitcase it didn’t matter too much. 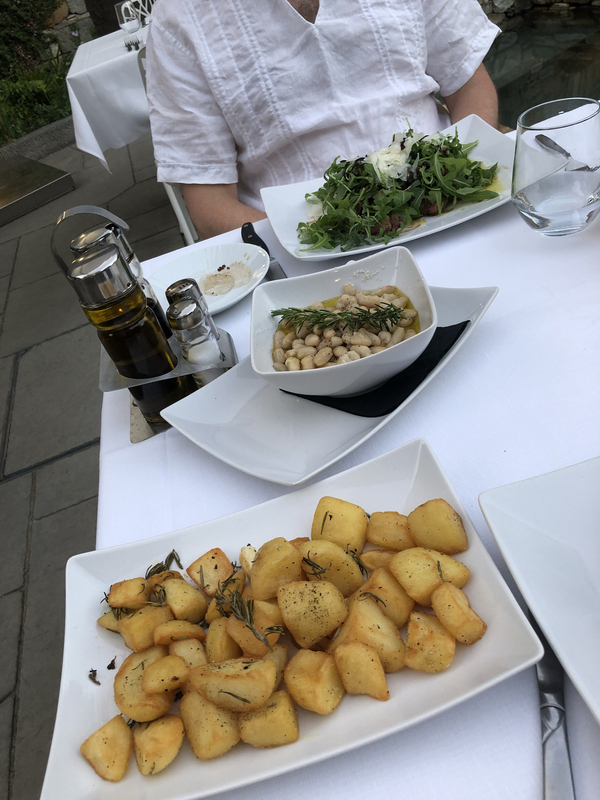 To beat the heat and because well, why not, we stopped for a beer and a gnocchi lunch at ‘The little star café’. The waitress couldn’t be more helpful, she gave us directions to the leaning tower and got us on the cafe’s wi-fi. Full tummies we headed to the leaning tower, because there would be no trip to Pisa without seeing it and taking THAT photo! 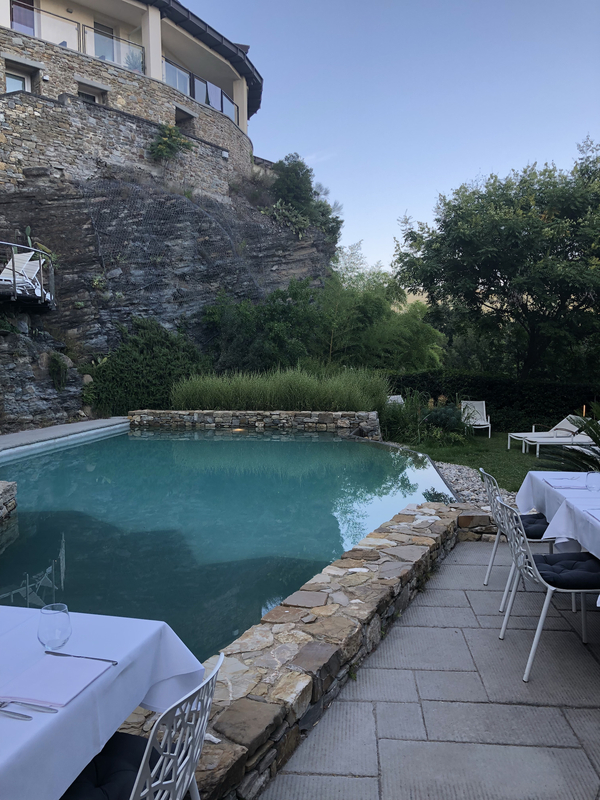 Once at Firenze station we took a taxi into the hills to our hotel, Eden rock resort. 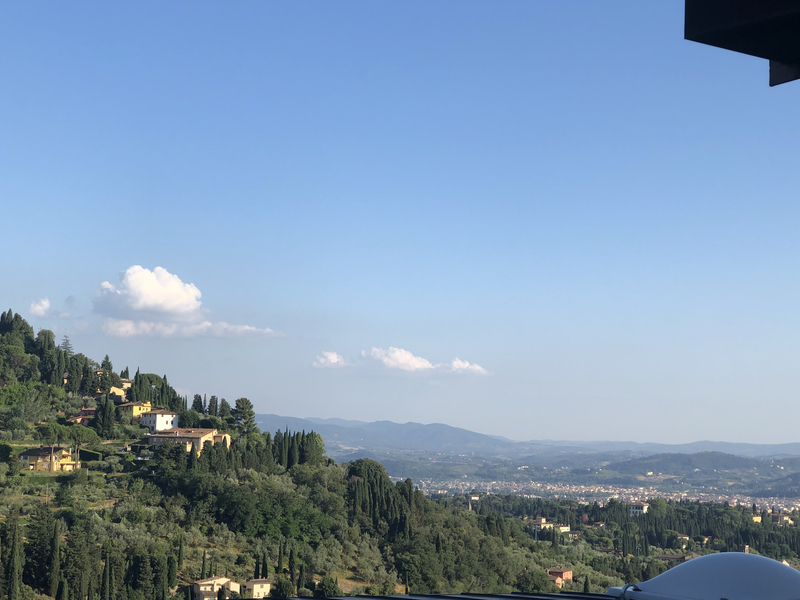 Set high above the city with rolling hills of beautiful Tuscan countryside it was absolutely beautiful. Time to relax! We had a wonderful meal in the hotel’s restaurant, the portions were huge, and the wine was fabulous. Oh, I could get used to this! 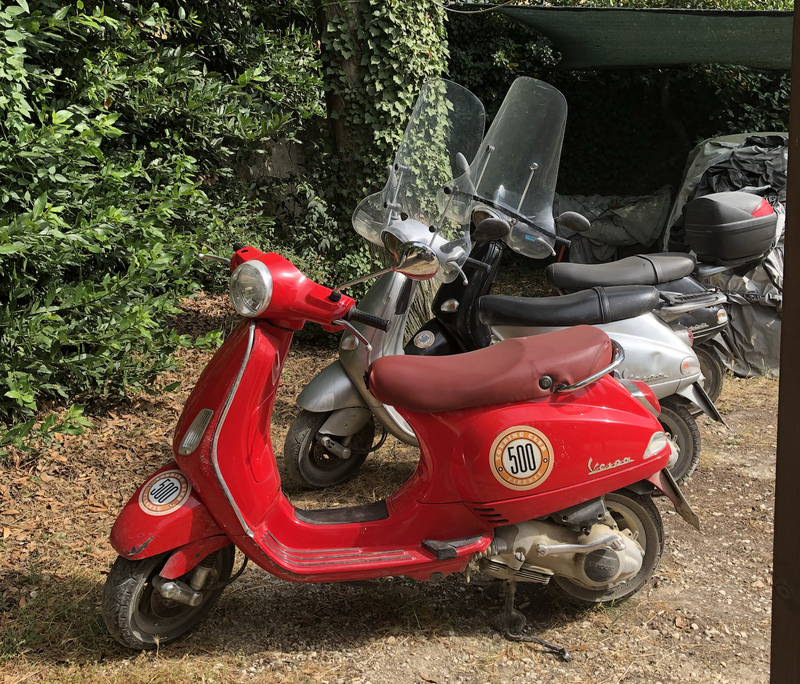 Exploring Florence and a Vespa tour! 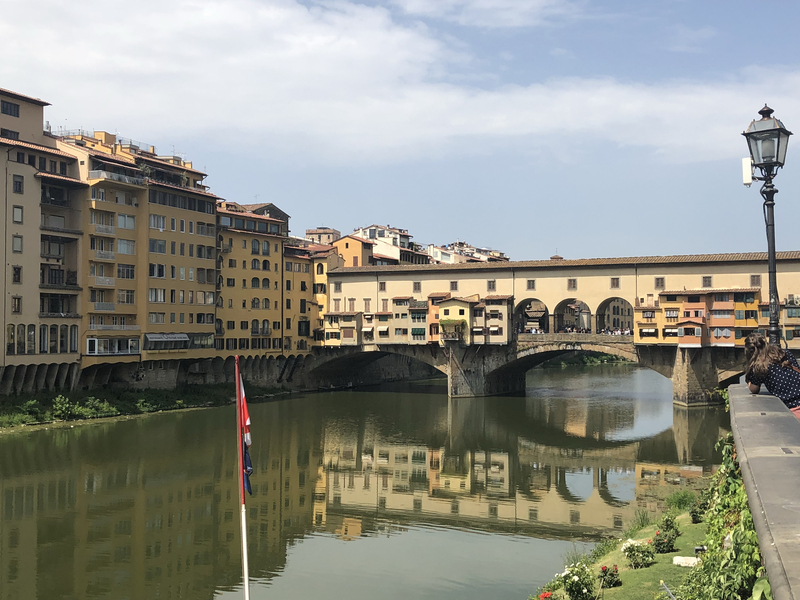 The next day was our one day to explore Florence itself. The hotel staff couldn’t do enough for us and drove us to the bus stop that would then take us into the city. We had already managed a very quick dip in the pool after we’d had breakfast. I wanted to see the main sights but knew we wouldn’t have time this trip to visit the galleries and museums. 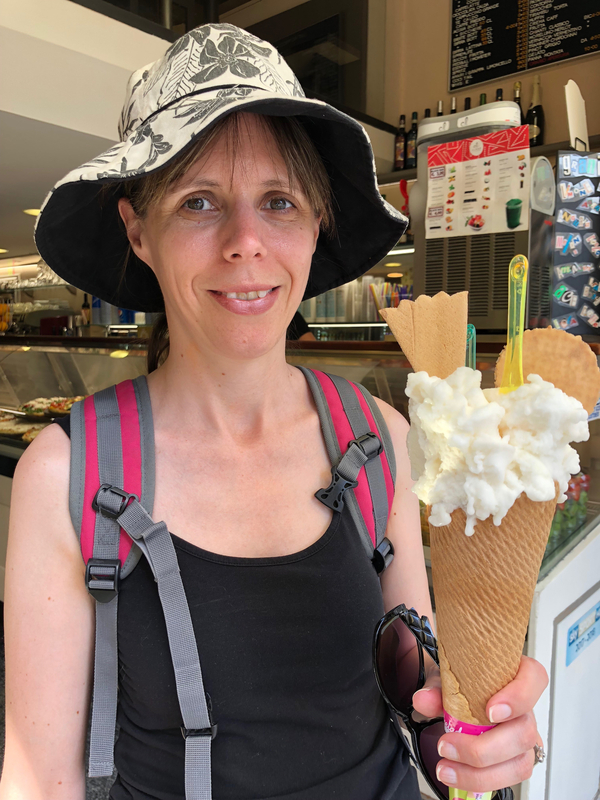 I ticked the main sights off my list, bought a few leather handbags and we had lunch where ever we fancied and the most enormous ice-cream! 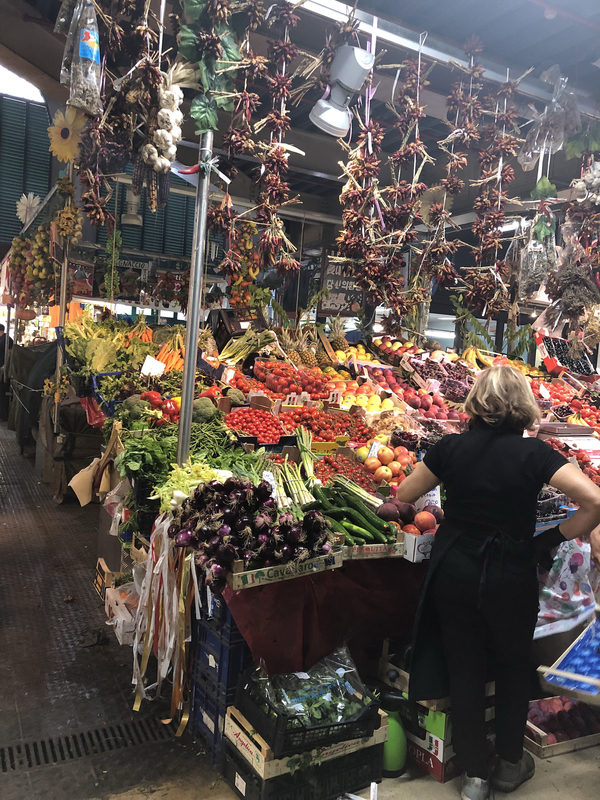 The Ponte Vecchio didn’t disappoint, and the undercover market was worth a visit just to see the amazing produce. A quick siesta back at the hotel and then a taxi ride across the city and it was time for our sunset Vespa tour, which I booked with the 500 touring club. Matteo was our guide and soon had us togged up with helmets. Hubby would be driving, and he was given a lesson in the private grounds. All the cars and bikes have names and there is obviously a lot of love and respect for these vintage machines. He took to it well until it was my turn to sit on the back! My added weight, I’m not that big either, didn’t do much for his confidence! 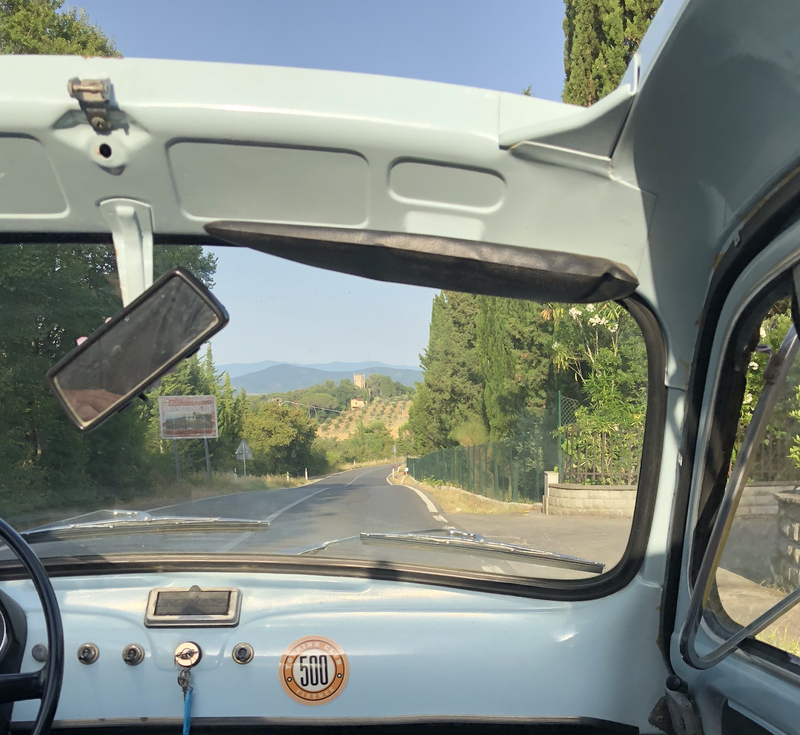 We rode the Vespa up and down the private road, but I felt too precarious on the back and didn’t think my hips would like the position for a two-hour tour. 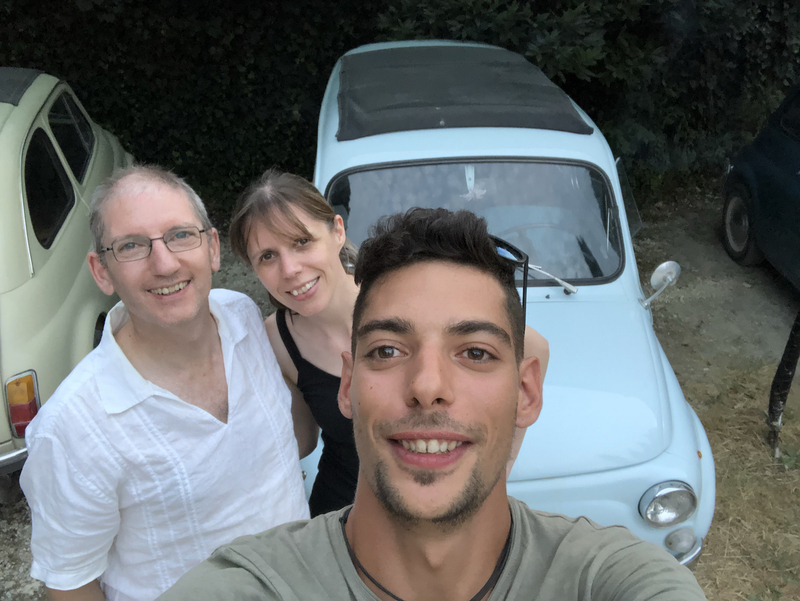 Matteo was brilliant, and as we were the only people on the tour let us have a go in one of the vintage fiats, before he took us on a tour in a converted fiat. It wasn’t exactly what we had planned, but he was very accommodating and became our chauffeur for the evening. We stopped every now and again for the car (Antonio or Toto, once you became friends) to cool down and to take some photos. 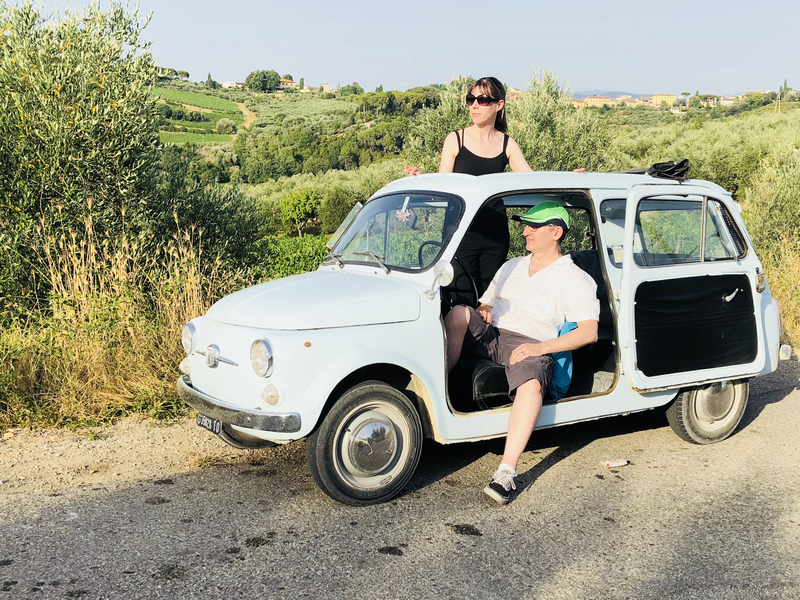 Matteo was a keen photographer and had us posing with the car. 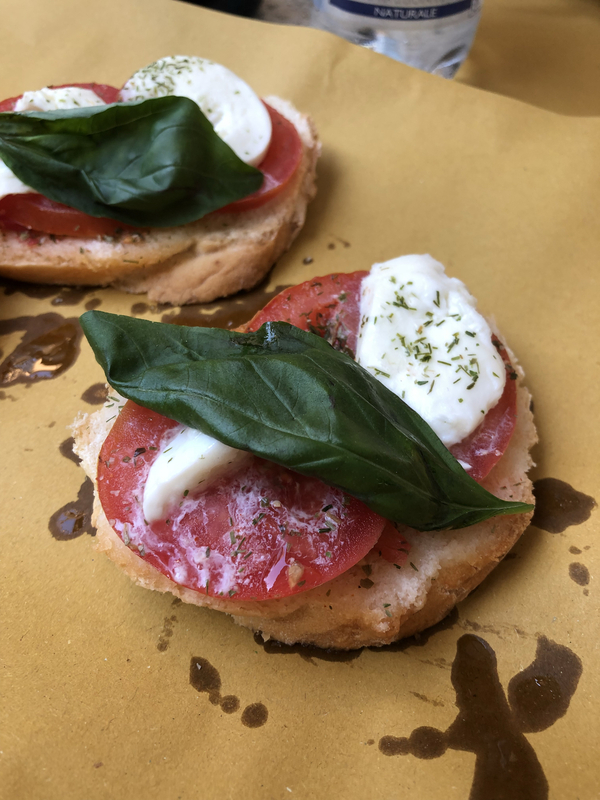 He then took us to a local Osteria where we tried two local Chianti’s and some antipasti’s. it was a wonderful trip and we saw parts of Tuscany we might not discovered by ourselves. A very early start the next day for our flight saw us a little worse for wear! 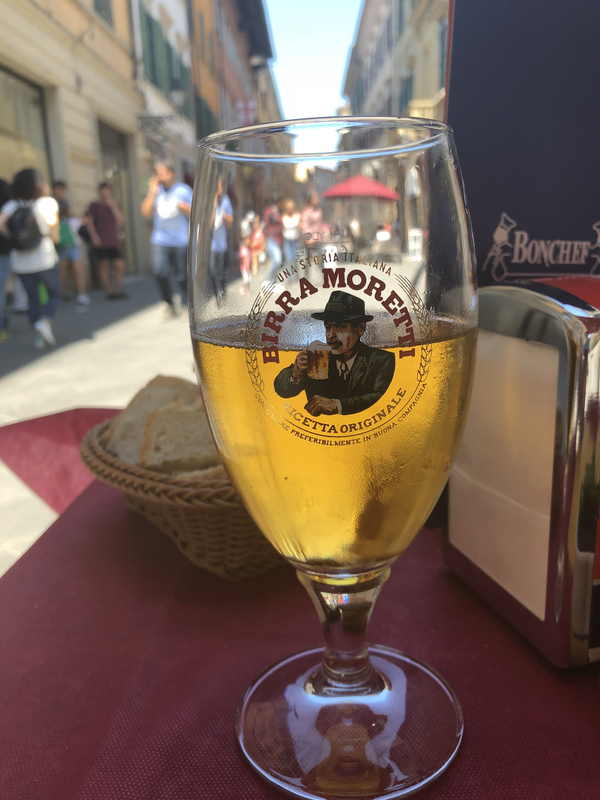 After our tour we had taken a taxi into the city for more wine and limoncello. We had a birthday to celebrate after all! We repeated our train journeys and made it safely to the airport. I loved Florence and would like to visit again. A day to explore wasn’t really enough and I know we missed all sorts. 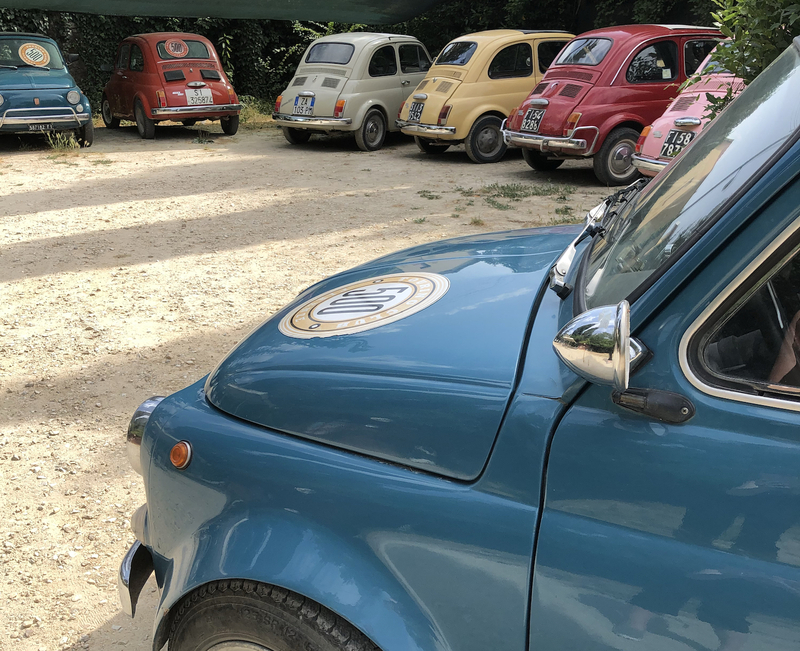 But just to go over there and experience a little part of Tuscany was great fun. With another big birthday coming up next year where should we go next? We might even let the kids come on a mini break! 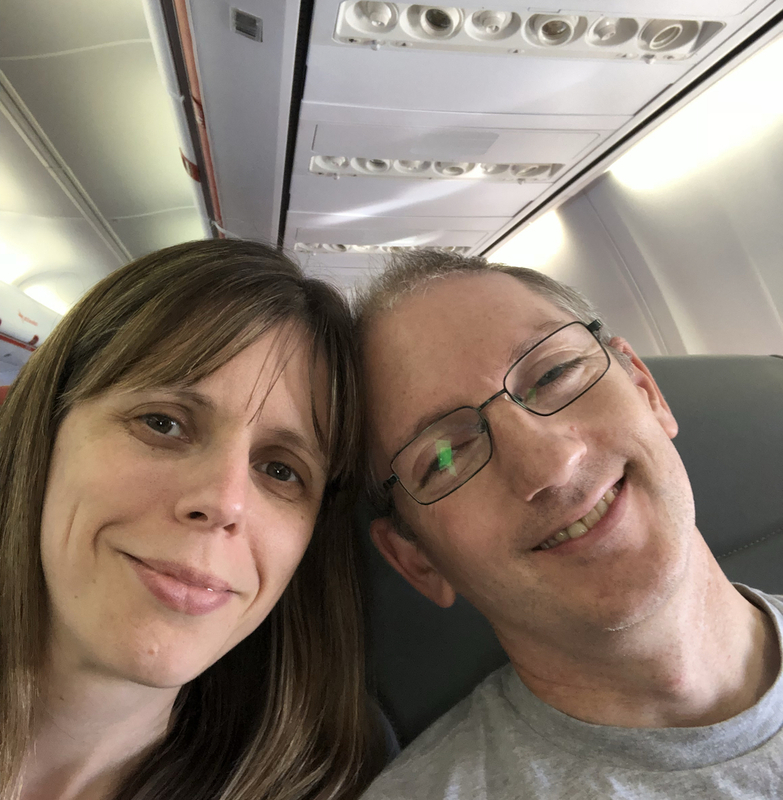 I’ve received no incentive to write this but just wanted to share our adventures. Maybe it will inspire you to have one of your own. 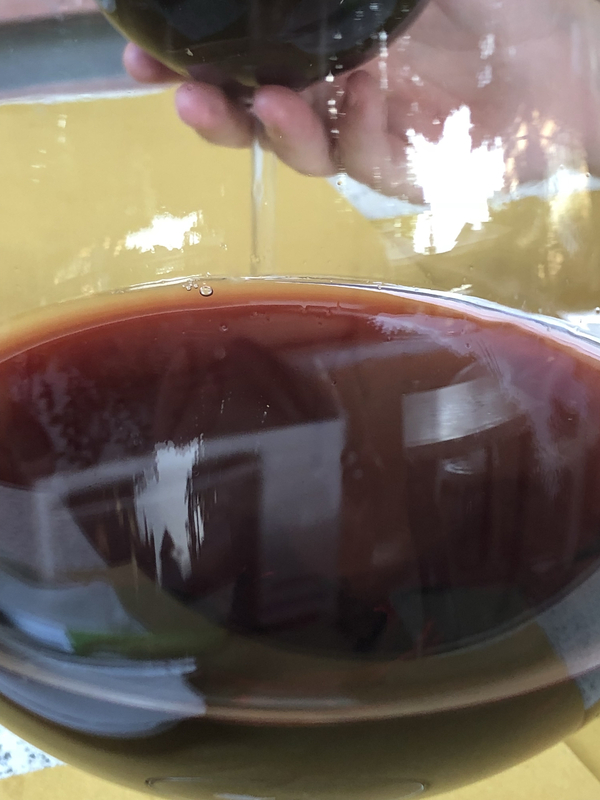 If it does let me know all about it.